What a fun day today! I had the pleasure of working with National Geographic contributor, George Steinmetz, shooting dusk and dawn exteriors with the nice folks from Aries Drone. 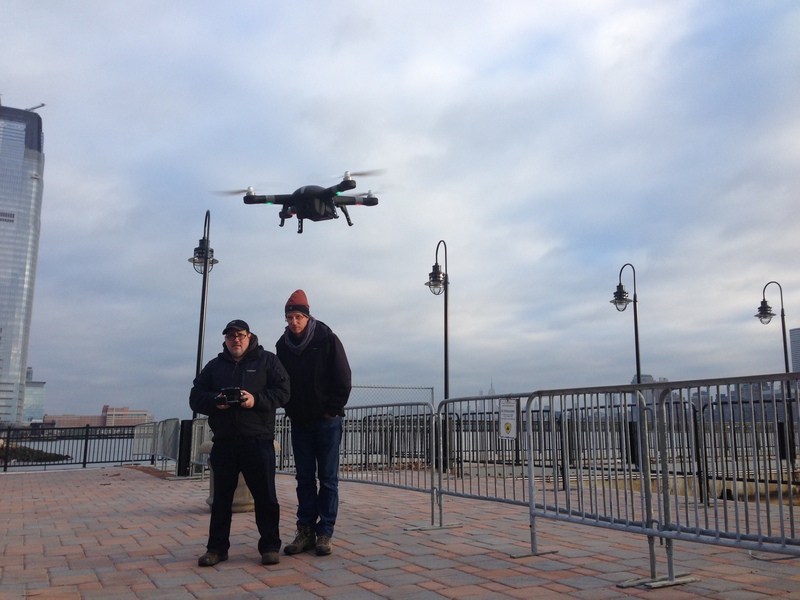 The photo below shows us putting the Aries Blackbird X10 through it’s paces, flying at dawn to capture an architectural exterior in New Jersey, then it was off to participate in a Fly-in with the New York City Drone User Group, followed by dusk shooting in Staten Island. As much fun as one can have at 6:15a on a cold December Sunday morning!